I’m planning on doing some more “team” stickers. My patrons had first choice, but now the poll is open to everyone else! What would you like to see? The Doubleclicks just released their latest album on Kickstarter this morning, and I had the honor again of being a part of designing some of the rewards for this project, specifically the shirts. As always, it’s such a joy to work for Laser and Aubrey bringing their cute, meaningful, and fun ideas to life. If you’d like some positive, supportive, and altogether awesome music that is sure to bring a smile to your face, I highly recommend checking out all their stuff. ‘The Book Was Better’ is about a lot of things: gender, dogs, cats, anxiety, Halloween, and pizza are some of the things. But the big theme is this: We spend too much time yelling on the Internet, and we should all try something else. Certainly we can’t stop using the Internet, that would be ridiculous. But just a tiny break sometimes, yeah — that’s probably good. Go to a museum. Go roller skating and break your arm. Try to throw a birthday party and don’t cancel it when you get overwhelmed at the very idea of human interaction. 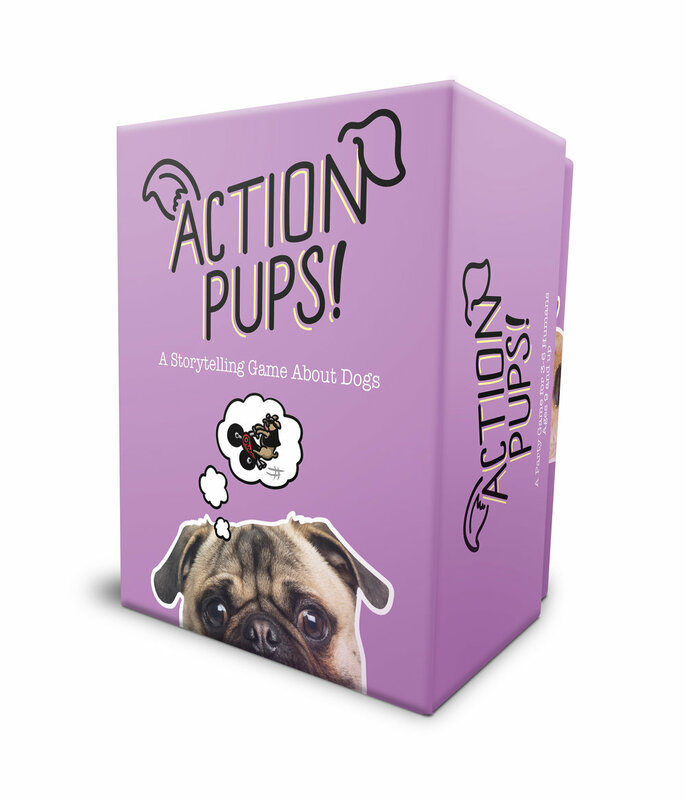 At long last Action Pups!, a fast paced storytelling game about the secret lives of dogs by Twogether Studios, is now live on Kickstarter. This is the canine version of the similarly named game, Action Cats!, and is indeed the same flavor of game, but this time, as you may have surmised, is all about the good dogs. Additionally, I also did the illustration and packaging design. Also, just like with Action Cats!, those that back the Kickstarter will have the opportunity to add their pupper pal’s photo to the game.